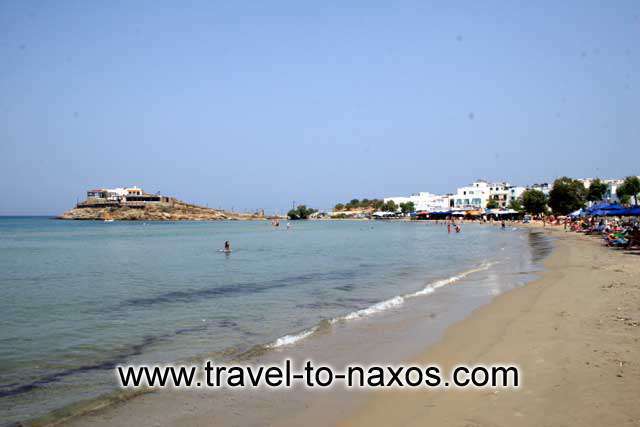 The beach of Agios Georgios (Saint George in Greek) is one of the most famous in Naxos island. 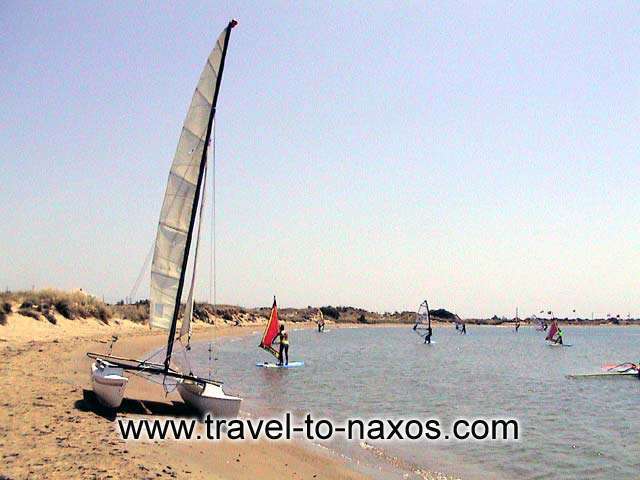 It is a long beach with golden sand, crystal water and usually crowded during the summer and especially weekends. 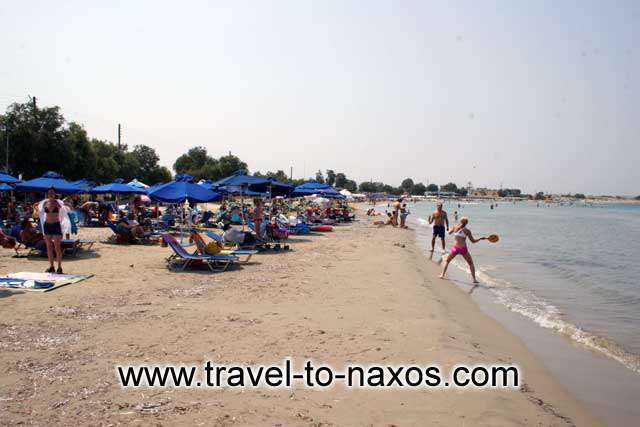 The beach is partly organised with umbrellas and sunbeds. 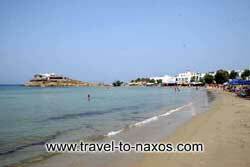 The shallow waters make it ideal for families with small children. 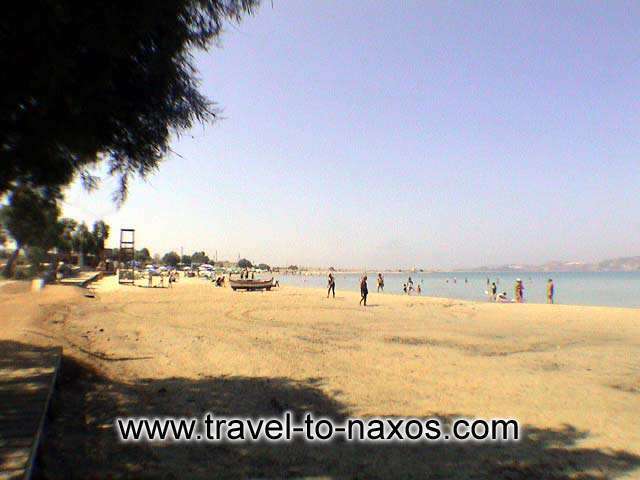 Agios Georgios is very close to the Chora of Naxos. 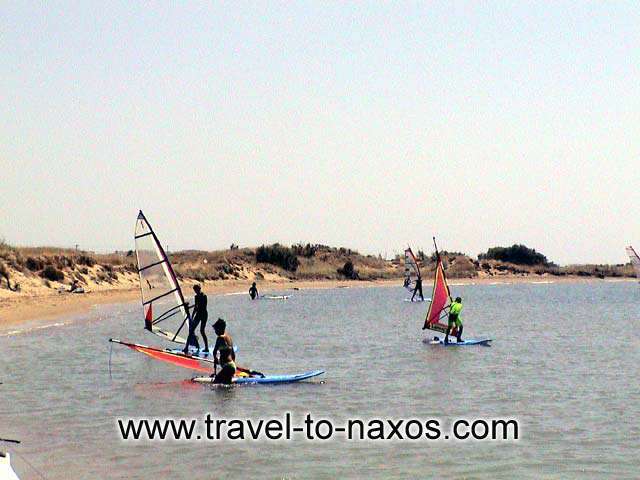 It is an organized beach which offers all the infrastructures to enjoy your favorite sport or even learn a new one. 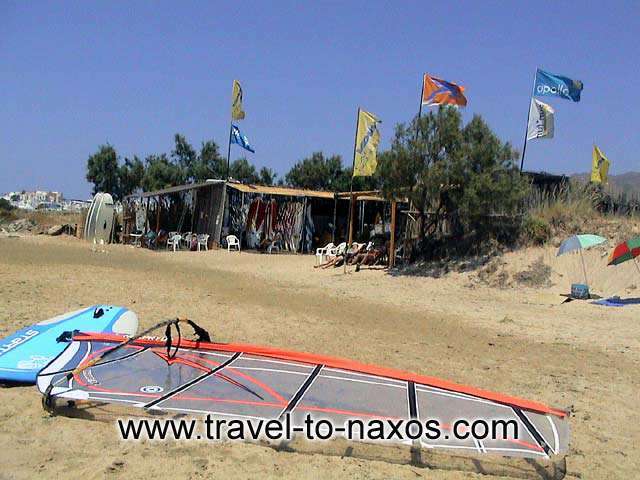 If you want to try the local cuisine, you will find several restaurants and taverns on the beach. Hotels and rooms to let offer a comfortable stay to all visitors.